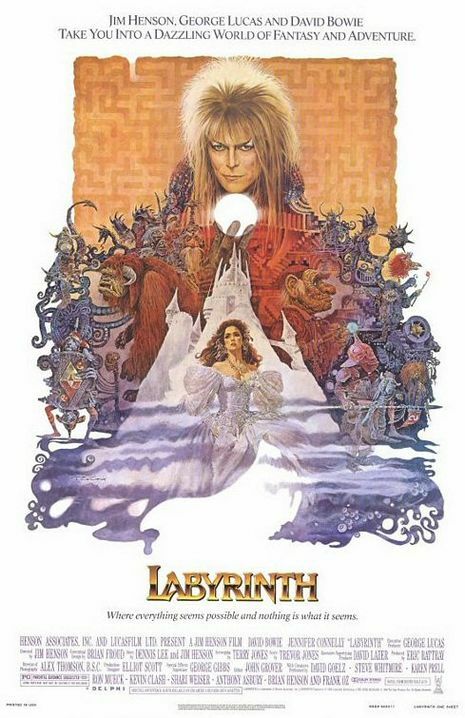 Labyrinth is a 1986 fantasy film, directed by Jim Henson, produced by George Lucas, and designed by Brian Froud. Henson collaborated on the screenwriting with children's author Dennis Lee and Monty Python alumnus Terry Jones. 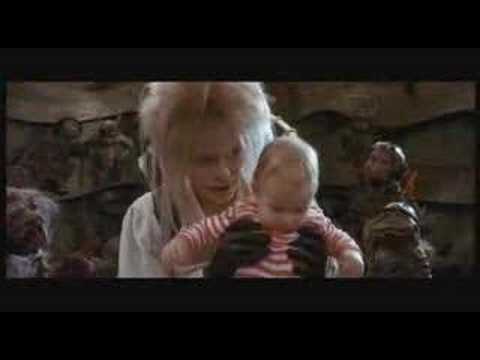 The leads are David Bowie as Jareth the Goblin King, and Jennifer Connelly as Sarah Williams. The plot revolves around Sarah's quest to rescue her little brother from the Goblin King while trapped in a world that is an enormous otherworldly maze. Most of the other significant roles are played by puppets or by a combination of puppetry and human performance. It was shot on location in New York and at Elstree Studios in the UK. It was the last feature film directed by Henson before his death in 1990. The film turned out to be a failure at the box office. The film grossed only $12 million from ticket sales under its $25 million budget. 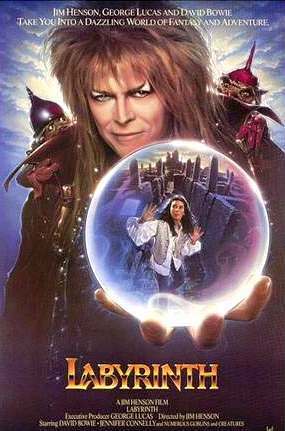 Labyrinth has, over the years, become a major cult classic. In recent years various toys and other merchandise have been produced, including an action figure of Jareth that came to stores in May 2007.